Material Unakite Egg 2" Lapis &Pyrite Egg 1" Jade &Pyrite Egg 1" Rhondochrosite Egg2" Blue Aventurine Eg2" White Howlite Egg 2" Turquoise Howlite 2" Pyrite Egg 2.25" Jasper Eggs 1.25" Yellow Av. Eggs1.25" Birdseye Gray 1.25" Mookaite Eggs 1.25" Fossil Eggs 1.25"
Black Lacquer Box atopped with a Wire Nest and Gemstone Egg. 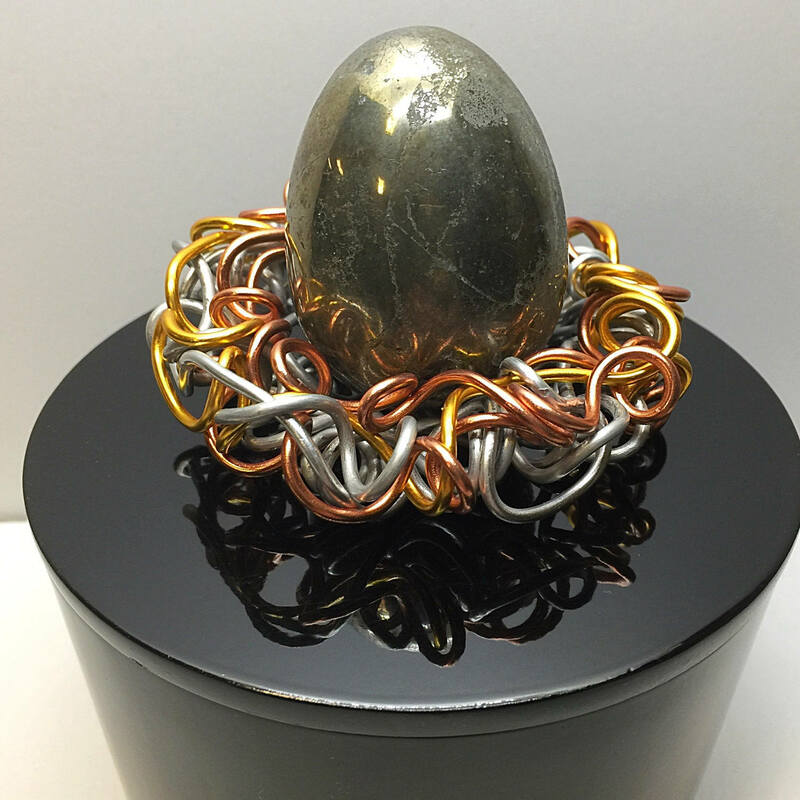 This wire birdnest is handcrafted and can be customized to be any size and include any gemstone eggs I have. 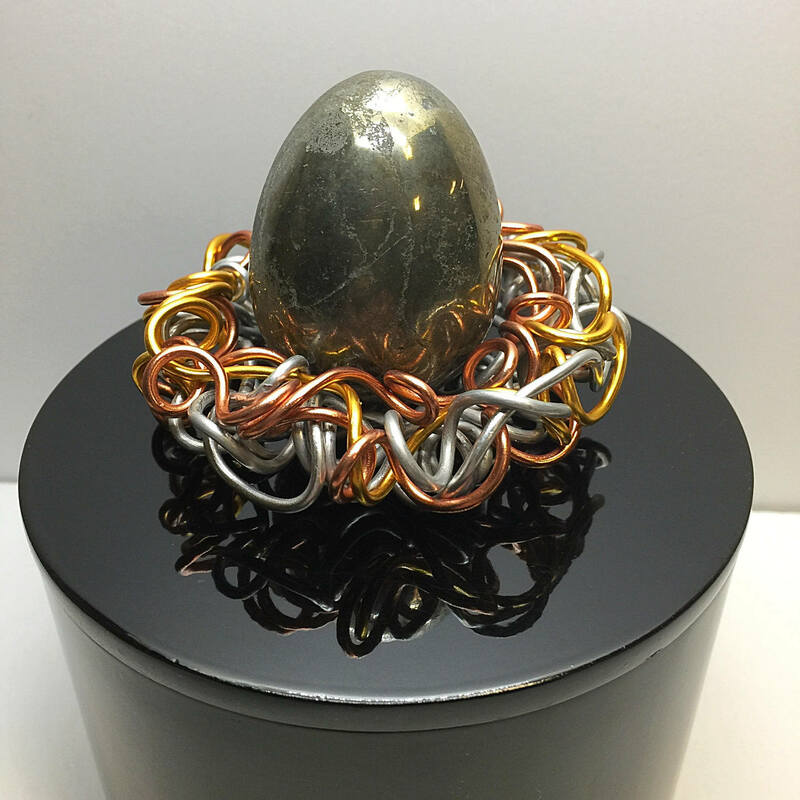 Mixed metals wires artistically twisted, weaved, formed and shaped into a wire basket or nest. Black Lacquer Box is Round, 3.25" Tall x 4.5" Diameter. This height will increase to 6" with the Egg as shown. 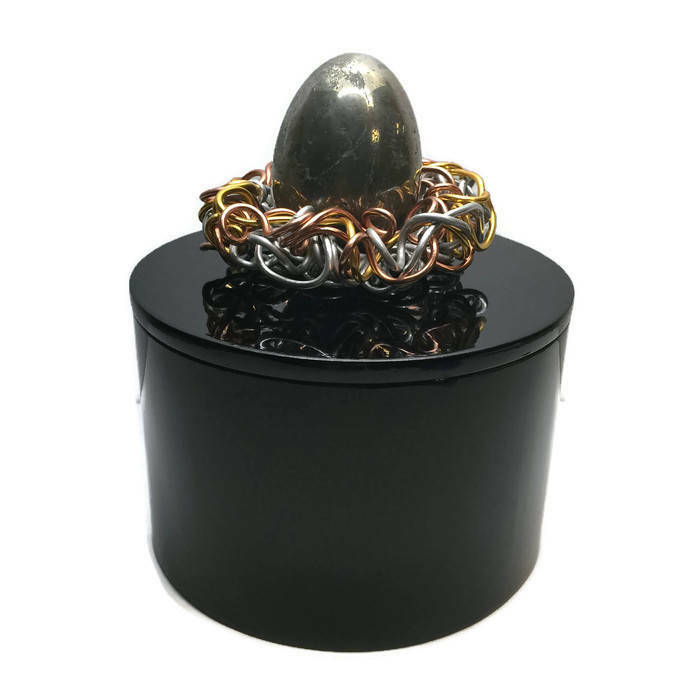 The Wire Nest shown is 3" diameter (can be customized). 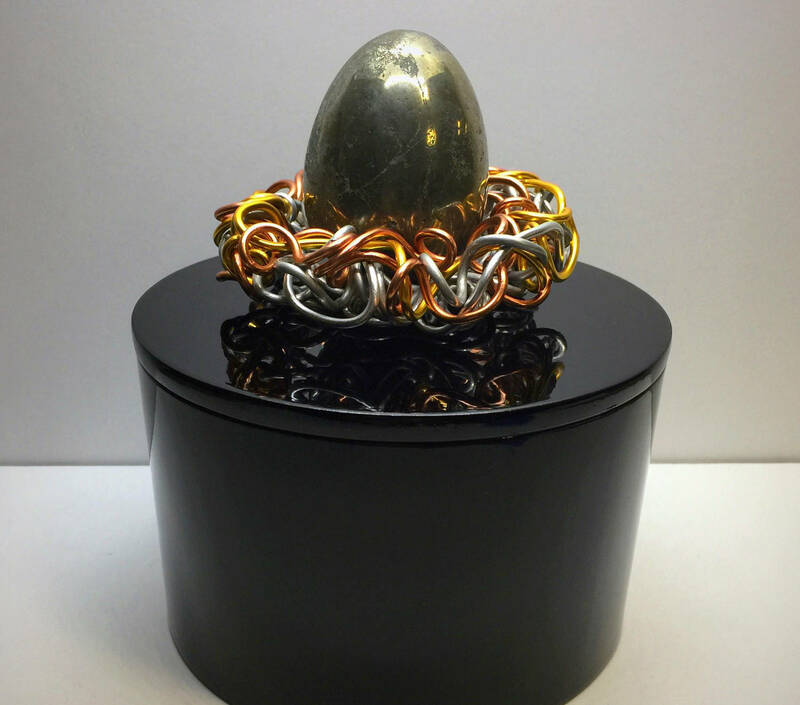 The Gemstone Egg is Large Pyrite. Beautifully polished. 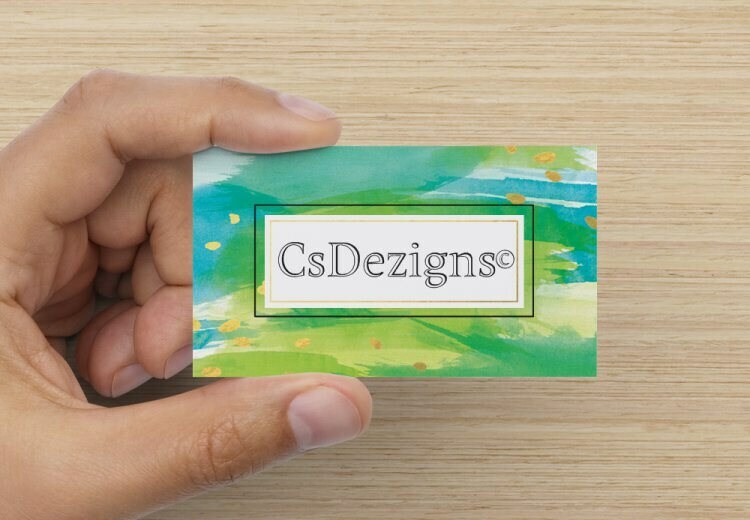 2" tall x .80" wide.